Why pick one workout when you can have three?! 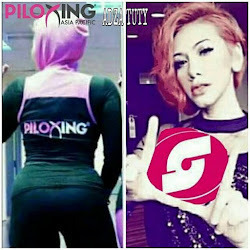 Piloxing incorporates pilates, boxing, and dance, for one body sculpting workout that burns maximum calories and creates lean muscle-- all while a having great time! Salsation™ is a Dance Workout that convert functional training protocols into innovating dance moves. The word “Salsation™” has been taken from (Salsa & Sensation). →SALSA: not from the rhythm / musical gender but from the spanish word “SALSA” that actually means “sauce”, because it is a spicy mix of different rhythms, cultures, dances and fitness protocols. →SENSATION: the program has a strong focus on musicality, lyrical expression as well as on how the human body function.